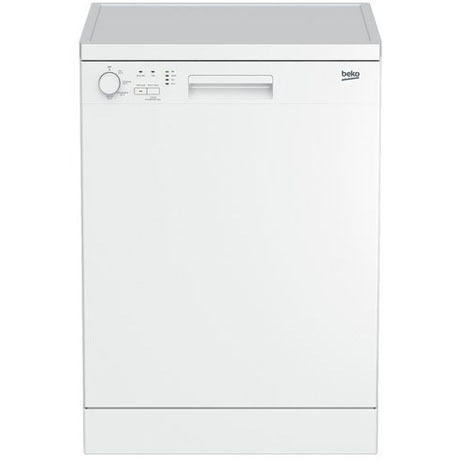 This Beko Dishwasher finished in modern white, is a perfect addition for your kitchen. A dishwasher takes out all the stress and mess of washing up after large meals leaving you more time to spend as you wish. The right program for the right result, every time! 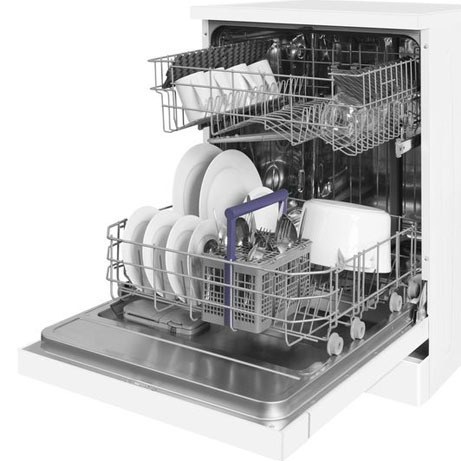 This Beko Full-size Dishwasher is designed to help save you time and money. 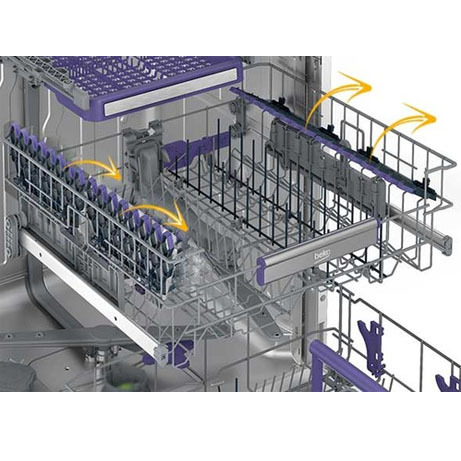 The Mini 30 program washes a full load in just 30 minutes and is ideal cleaning for every day use, perfect when you need clean dishes in a hurry. The half load setting comes in useful when all you need is to wash a few items. 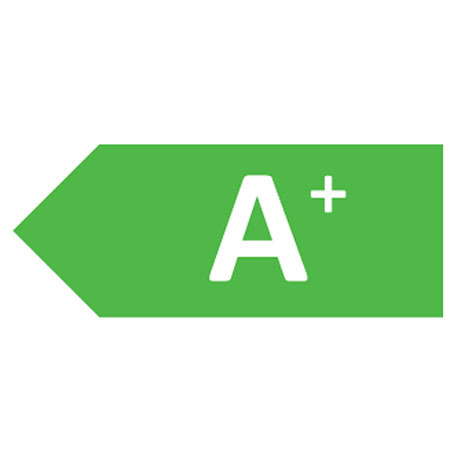 This can save 10 – 25% in energy and water consumption! The Eco program is also useful if you are environmentally conscious, so you can wash without worrying about excessive energy usage. The cutlery basket is removable, so no space is wasted when it isn’t being used. 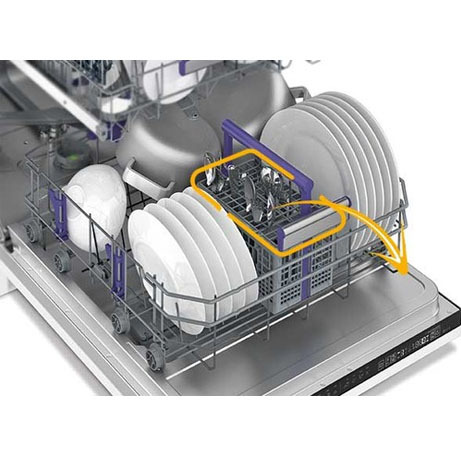 For effective loading of bulky items, the folding cup racks are handy when you need extra space to wash larger items like pans and serving bowls. With a variety of programs on offer, you can choose the perfect setting for your load type. The intensive setting runs a cycle at 70°C and is great for cleaning stubborn stains from heavily soiled pots and pans. The Clean&Shine function completes a wash and dry in just 90 minutes. This is ideal if you’re having a dinner party and really want to get the cleaning up done fast. The handy indicator lights let you know when you need to top up the salt or rinse aid in your dishwasher, helping to ensure that your dishes are consistently cleaned. 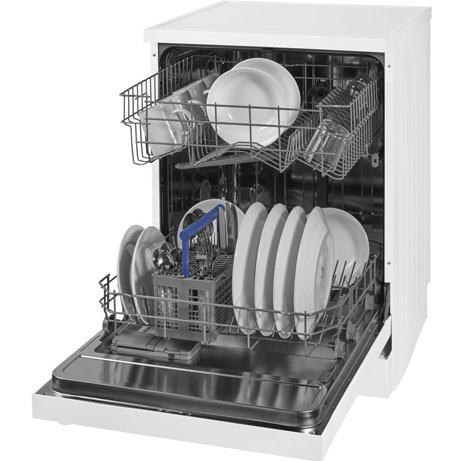 Wash up to 12 place settings in one wash, with the large capacity of this dishwasher. If you’ve had friends and family over for Sunday lunch you can wash all your plates, bowls, and cutlery in one go, making the clean-up easy. The large capacity is also useful for washing larger items such as baking trays and casserole dishes, so scrubbing baked-on food off bulky pots and pans is a thing of the past.